We are a proud Mimecast Cloud Service Provider. This allows you the flexibility to choose which services are best for your organization. The LiquidCloud Hosted Exchange Product Suite all come standard with Mimecast Security giving you the peace of mind that your email is secure. You also have the freedom to choose a Mimecast Service for any other Cloud Based Mail offering - like Office 365. Transforming email security with the most comprehensive cloud-based solution on the market. Mimecast Email Security with Targeted Threat Protection uses multiple, sophisticated, detection engines and a diverse set of threat intelligence sources to protect email from malware, spam, phishing, and targeted attacks delivered as a 100% cloud-based service. It used to be that secure email gateways with anti-spam and anti-virus security services were enough to keep an organization safe from email-borne attacks. Today, the stakes are much higher. While still important, as approximately 60% of inbound email is spam or contains commodity malware, stopping only this traffic will leave your organization exposed to more sophisticated and targeted attacks. Organizations around the globe continue to be impacted by phishing attacks every day. 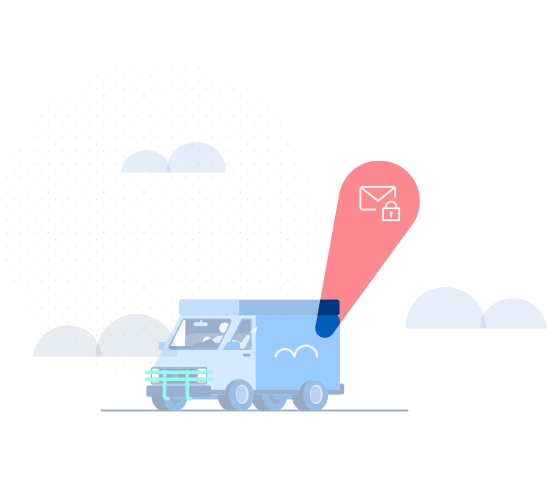 The Mimecast Secure Email Gateway takes a different approach to email security and protects organizations from both spam and commodity attacks as well as more targeted and sophisticated ones. Malicious websites come and go very quickly, and thus it is critical to check them at the time of click, every click, while educating users along the way. This is exactly what Mimecast Targeted Threat Protection – URL Protect does. Malware remains a significant threat. Sophisticated attackers, or their malware development partners, are constantly innovating to take advantage of both known and unknown vulnerabilities that exist in targeted organizations. Signature-based anti-virus systems alone cannot keep up with this innovation as there are multiple techniques that malware writers use to bypass their detection. The best anti-malware strategy implements an adaptable approach and applies multiple analytic techniques to each file to filter out malicious email attachments. This is exactly the approach that Mimecast Targeted Threat Protection – Attachment Protect uses to protect organizations from email-borne malware. Most attacks are focused on extracting money from their targets. Increasingly, cybercriminals have moved their monetization efforts to email-borne attacks which impersonate your C-Suite, your boss, your business partners as well as well-known internet brands. Attackers do this to build trust, lower the guard of their victims and to persuade them to initiate a fraudulent wire transfer or to send over some other type of personal identifiable information (PII). Mimecast Targeted Threat Protection – Impersonation Protect specifically protects against these types of sender spoofing and socially engineered attacks. Choose the best plan for you. From small to large and everywhere in between, LiquidCloud’s plans are suitable for every environment. If you need help with the right plan for you, contact info@liquidcloud.co for help. Targeted Threat Protection - URL Protect, Attachment Protect, Impersonation Protect. Defense against malware-less, social engineering attacks. On-click protection from malicious URL’s in email. Attachment sandboxing and innovative safe file conversion. SLA-backed spam and malware protection and defense against zero-day threats. Email encryption, flexible attachment management and stationery. Dashboards and reporting to help administrators stay ahead of potential risks. Employee desktop and mobile apps for spam and quarantine management. Optional add-on Internal Email Protect enables Targeted Threat Protection based detection and remediation for both internal and outbound emails. Real-time protection against outbound data leaks (DLP) with automated policy application. Pre-built intelligent identifiers of structured data like credit card numbers, social security numbers and healthcare information. Integrated Mimecast managed reference dictionaries. Watermark and convert Microsoft Office documents to PDF on send, strip attachment metadata. Support compliance with all inbound, outbound and internal email held perpetually in a tamper-proof archive with auditable chains of custody. A complete archive using journal, gateway, LAN/cloud sync and ingestion data inputs. Comprehensive e-discovery and rapid archive search powered by Mimecast’s grid architecture. Rapid employee archive access from any device – backed by a 7 second search SLA. Replicated Exchange folders in the archive help employees find information faster (requires Archive Power Tools add-on). Option to add file and IM archiving. Organizations need continuous protections against threats that are on the inside. For most, inbound email-borne spear-phishing style attacks are the primary focus by security teams, but that doesn’t sufficiently protect an organization. It is important to recognize that internal-to-internal emails as well as outbound emails are regularly used to spread threats and spam. In addition, organizations need continuous protection against delivered email-borne files which are later determined to be malware. Once attackers steal your employees’ log-in credentials their next step is to increase their footprint in your organization, send phishing emails internally using the stolen accounts, and launch attacks from your organization without you knowing. It is critical that organizations apply sophisticated security controls in all your email vectors – inbound, outbound, and internal. It is also important to have automation that removes threats once they are discovered. Mimecast Internal Email Protect extends Mimecast’s security controls to your organization’s internally generated emails providing 360 degrees of email protection.